The Wizard of Odds: Snoop Dogg Now on the LSU Bandwagon!?! Snoop Dogg Now on the LSU Bandwagon!?! Sports By Brooks has the scoop. Yes, Snoop Dogg was spotted Wednesday with none other than Les Miles at a Rotary Club event. This came a day after Snoop first met the Louisiana State coach. 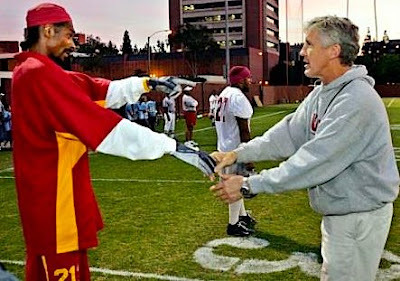 Snoop has been a frequent visitor to USC practices, but perhaps the Trojans' street cred has run out with the Dogg. Is Pete about to kiss Snoops hand? Its the hottest news of the day. one person who just needs to stay away... from everyone. so annoying. Sad really. Like Paris Hilton, famous for being famous. Seriously, WTF has this guy done to derserve celebrity status. he was a dork with SC and now he is a dork with LSWho. 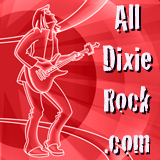 "Like Paris Hilton, famous for being famous. Seriously, WTF has this guy done to derserve celebrity status." Don't be silly. Snoop has had a long and succesful career as a recording artist, with 15 years of gold and platinum albums. Maybe you don't happen to like his style of music, but that hardly means he is "famous for being famous" like Paris Hilton. That's like saying "Brett Favre is famous for no reason" just because you don't happen to be into football.